If you’re a driver, you’ve no doubt had ‘off days’ where every minor inconvenience stresses you out and puts you in a bad mood. It doesn’t matter if it’s something as little as having to stop at every traffic light, or if the car in front of you is driving below the speed limit. Whatever the inconvenience, it affects your mood. 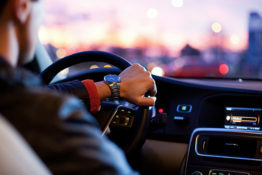 And now a study has found that one third of Brits regularly drive while stressed – and half of those believe that other motorists are to blame. So what kinds of things have people named as being the main stressors? Being tailgated is the number one cause of anxiety among those polled, while bad weather is top for a further 35 per cent of drivers. Another one in three admit to getting wound up by cyclists on the road. Cyclists on roads. Whatever next! 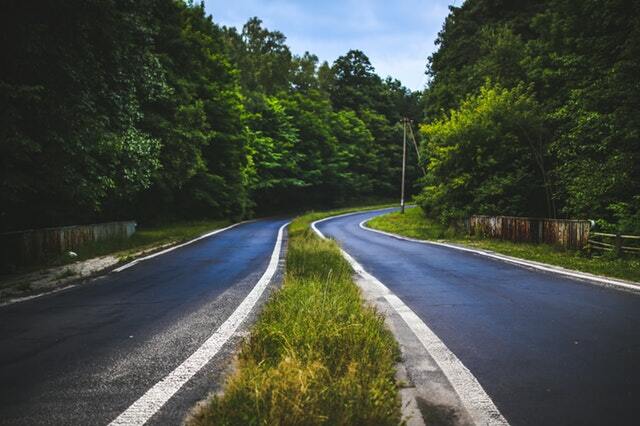 Almost 40 per cent of drivers say their biggest stress trigger is driving on a winding lane with blind bends, while 24 per cent can’t deal with passing tractors. All of these seem like pretty average things to happen when driving. So how can we prevent ourselves from getting so worked up by them? Well, the research was conducted by insurers Swinton Group, which teamed up with road safety charity IAM RoadSmart on a campaign to remind drivers of their road manners in a bid to reduce stress on Britain’s roads this winter. We see a sharp increase in calls to our customer service team each year from October and throughout the winter period as drivers navigate tougher driving conditions and busier roads. We know that stressed drivers can contribute to accidents, and we want to play our part in helping reduce the likelihood of incidents on the road. Clearly, different external factors cause people to become stressed while driving. But we can’t forget that our own behaviour also adds to the stress felt by other motorists. The study of more than 2,000 adults found that women are more likely than men to let something on the road stress them out. The behaviour of others on the road has a significant impact on the stress levels felt by motorists, so we’re encouraging drivers to remember their road manners. Stress can affect how we feel physically and emotionally and, as a result, can impair our judgement and our reactions. Courtesy costs nothing, and tailgating or making sudden decisions, like braking and swerving, will frustrate other drivers and distract you. 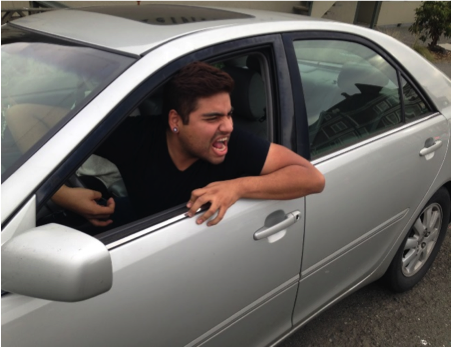 Aggressive driving is not safe, so if you feel agitated, you should always stop driving. So which places stress drivers out the most? According to the study, drivers in London feel more stress than those living anywhere else. This is followed by the east of England, with Wales, the West Midlands and the North West coming joint third. In comparison, drivers in the south east find themselves the most relaxed while driving. To demonstrate how easily stress can build up on the road, TV and radio presenter Gethin Jones was tested by IAM RoadSmart on six top driving stressors to see how he’d cope. I like to think of myself as a good driver, but my ability to stay safe was completely compromised when I was distracted by things like tailgating. I’ve experienced a fair bit of road rage in my time, as most people have. But it’s been an eye opener to see just how stressed out it made me feel and how it resulted in me making some really silly mistakes. Obviously in a test environment it wasn’t a big risk, but out on the road could be another story. To help drivers cope with the stresses they face on the roads, Swinton has partnered with IAM RoadSmart to provide expert advice and guidance to aid motorists in becoming more confident and calm behind the wheel – even when stressful situations arise. ← Florabundance Inspirational Design Days 2019 is now open for registration!